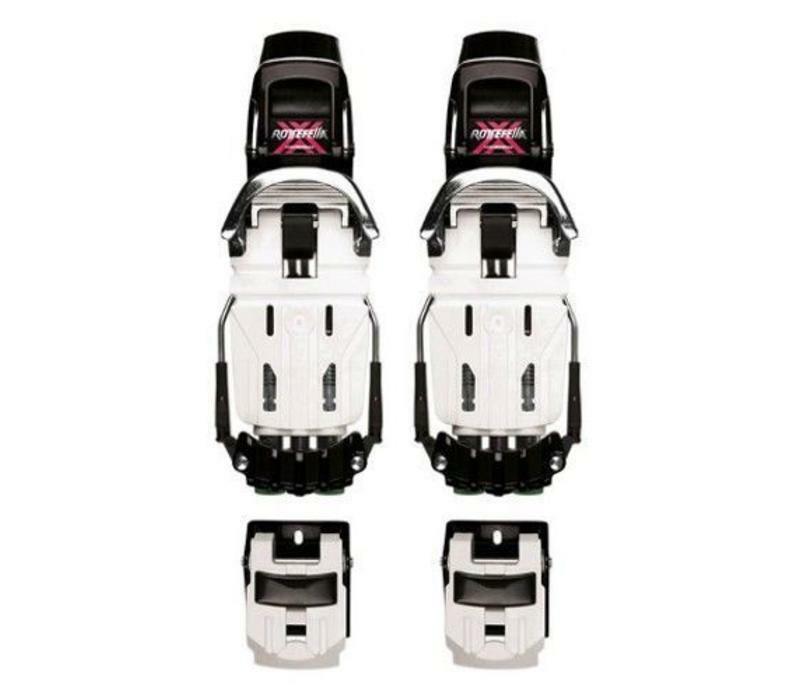 The NTN Freeride is a binding for telemark and freeride skiing. It gives the skier unparalleled edge control and a variety of user benefits. It offers the simplicity and security of an alpine binding without sacrificingthe freedom of the heels. Depending on the skier’s weight, boot size and ability, he or she can choose from four different Power Tubes (springs): Green (Soft) or Blue (Medium) to better reflect their style and/or preference. Ski brakes are included. Standard ski brakes have the width of 115 mm. A 125 mm ski brake is available as an accessory. Increased lateral stability, edge control, and adjustable forward flex. NTN users experience immediate energy transfer from boot to edge. Plus, new spring technology provides an even, smooth and adjustable forward flex. Release function The NTN binding has a sideways release system*. With regards to release values, the springs in the NTN binding can be pre-tightenedor reduced in tightness. NTN bindings are symmetrical; no left or right ski. You will ride longer on sharp edges.